Use for soft toss, off the tee, with any Lite Ball pitching machine or any other pitching machine that accepts baseball sized wiffle balls. This is the Original Wiffle Ball. 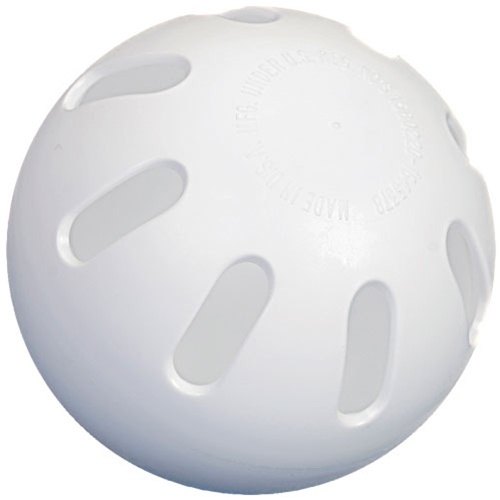 Safe, reliable ball to use for soft toss, tee practice or for slower speed delivery with pitching machines such as the Heater Starter or Closer.